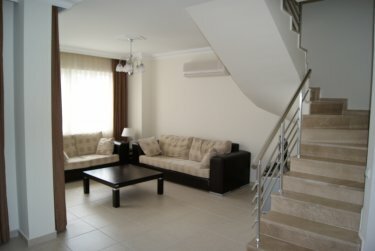 This modern duplex apartment is in the beautiful & popular Gran Mediterra complex. There are a variety of good restaurants & shops close by. 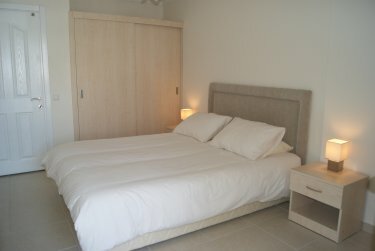 The complex is within a few minutes of the old town and both beaches, making it the perfect location for a wonderful holiday. The complex itself, consists of a bar with pergola, Communal BBQ, childrens play area, massive 22 metre pool with sunbeds, separate childrens pool & wifi internet access, all set in well tended gardens. 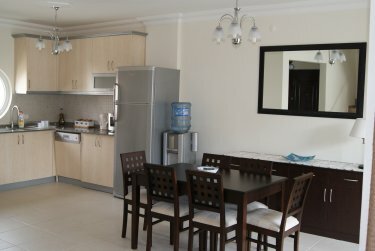 The apartment is fully air conditioned and has a large open plan living/dining area with a TV & DVD. The kitchen is fully equipped with an oven, hob, hood, dishwasher, fridge freezer & water cooler. There are 3 bedrooms & 2 bathrooms, one of which has a jacuzzi bath. 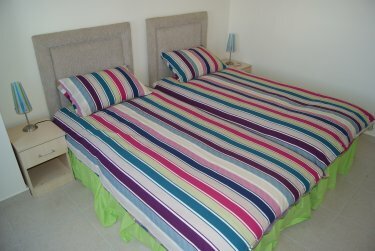 The apartment also benefits from 2 balconies, a washing machine, iron, ironing board, clothes airer, board games & books. A travel cot & highchair are available for children 0-3 years. Bedding and towels are also provided. Transfers to & from Antalya Airport can be arranged.